SOHOVE I don't think anyone will find a true bred Ori-Pei in a pound.Get real! 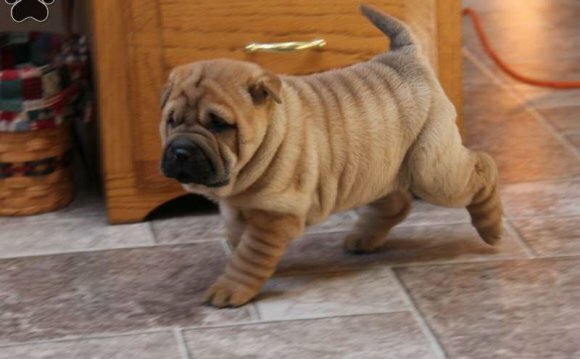 Pugs are a lot smaller then Shar Peis. I just can't imagine why anyone that loves their Pug would allow her to give birth to puppies that most likely would be larger then what she would normally given birth to. That seems a little dangerous to me. Anyway, here's my standard pitahuahua, Pugsley. Dogs have been "mixing" with other breeds for a long time. Actually so have humans!!! Why be so critical? If it is loved and has a home what is the harm? The only thing registering a pup is good for is when they are of show quality and you plan on entering them in big time competition. Otherwise it is a waste of money.